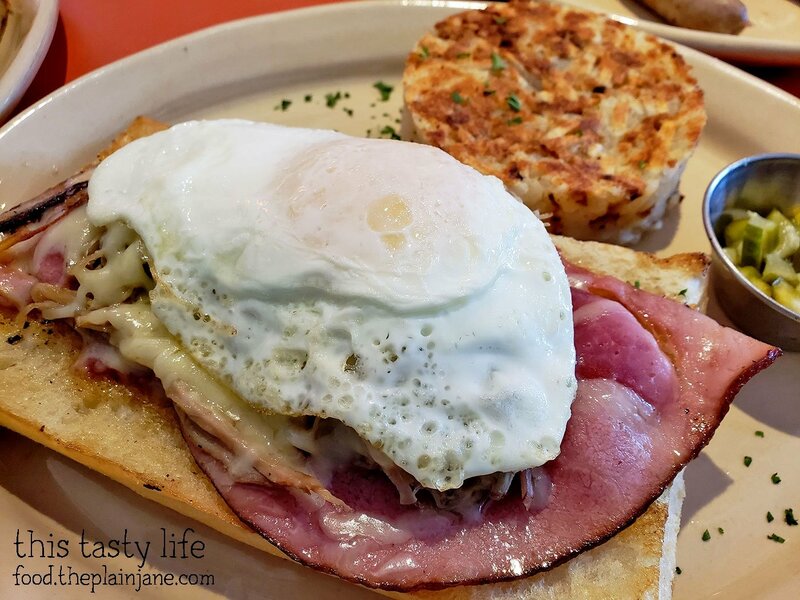 A few weeks ago I was invited to Snooze AM Eatery to check out their newest menu items for the summer. I can never turn down a visit to Snooze! This time around I took Jake, Jake’s mom, and their family friend, Rey (who was visiting from Sweden) out to brunch. We started the morning off with a few of their fresh juices. I got orange juice and Jake got the pineapple juice. 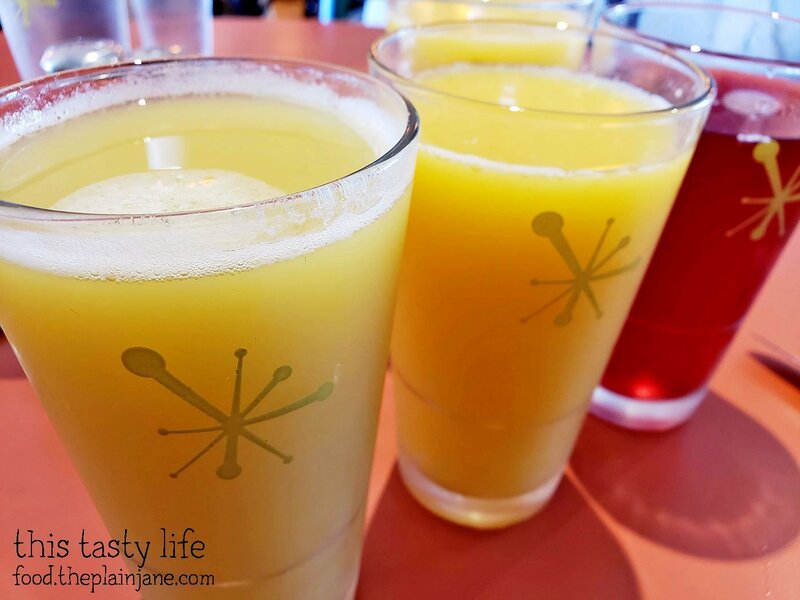 Let’s just say I kept stealing sips of the pineapple juice – it was really delicious with a nice amount of sweetness and fresh pineapple flavor! The orange juice here is also stellar. It always has the right amount of pulp for me – just a little bit without making you feel like you’re chewing your orange juice. One of the brand spankin’ new menu items at Snooze is the Sunburst Cakes [$9.50]. 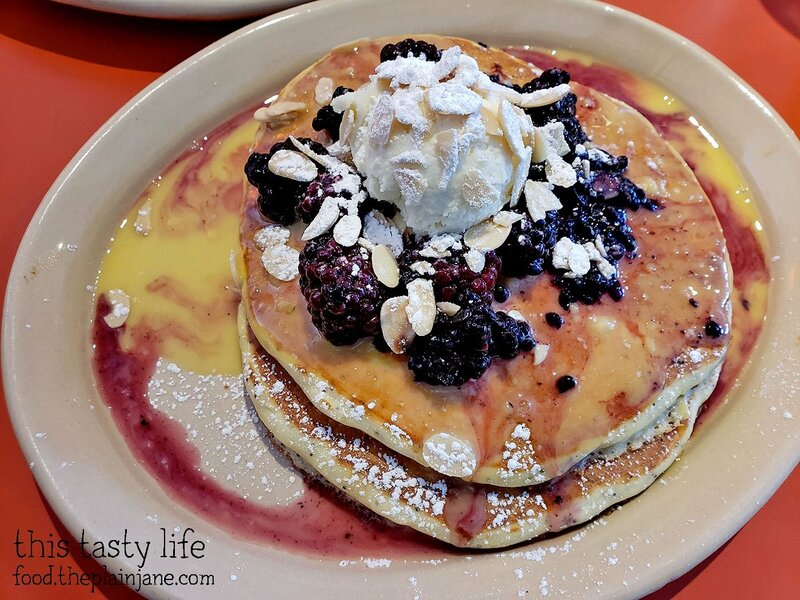 The base for these luscious pancakes is a buttermilk lemon poppy seed batter and it’s topped off with lemon anglaise (which is like a creamy lemon custard sauce), blackberries, and a dollop of citrus mascarpone and a sprinkle of sliced almonds. Um, hellloooooo! This is sunshine on a plate! The pancakes themselves were light and fluffy. The poppy seeds were a more dominant flavor until you dipped your piece of pancake into that lemon sauce and then the lemon flavor really burst through. I loved the fresh blackberries on top on that bit of mascarpone gave it a little bit of richness that made you sigh and sink into your chair and really appreciate life. These pancakes were outstanding! I don’t think this one is new but we hadn’t tried it before and Jake felt it was calling to him so we ordered one more pancake – the Pineapple Upside Down Pancake [$5.25 for a single pancake] to be exact! You can see the bits of pineapple poking through at the top of the photo there – there were plenty of pineapple chunks throughout the pancake making it extra tasty! The buttermilk pancake has a housemade vanilla creme sauce on top and that dollop in the middle is some beautifully luscious cinnamon butter. I like the crisp edges and caramelized bits on top of this super fluffy pancake. 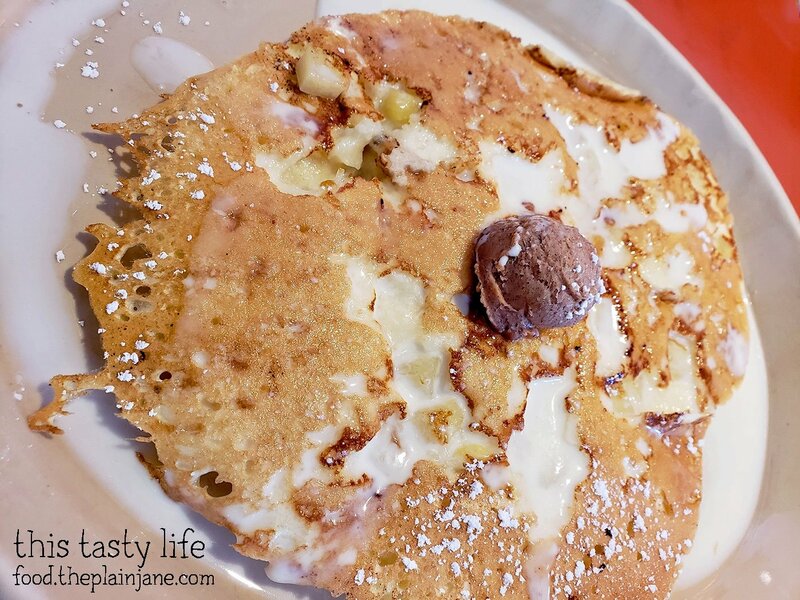 The cinnamon butter was also a killer topper on this dessert-for-breakfast pancake! If you’ve got a sweet tooth, then this will the spot for you. Another new breakfast item that I tried was the Smashed Avocado Benny [$13.25]. 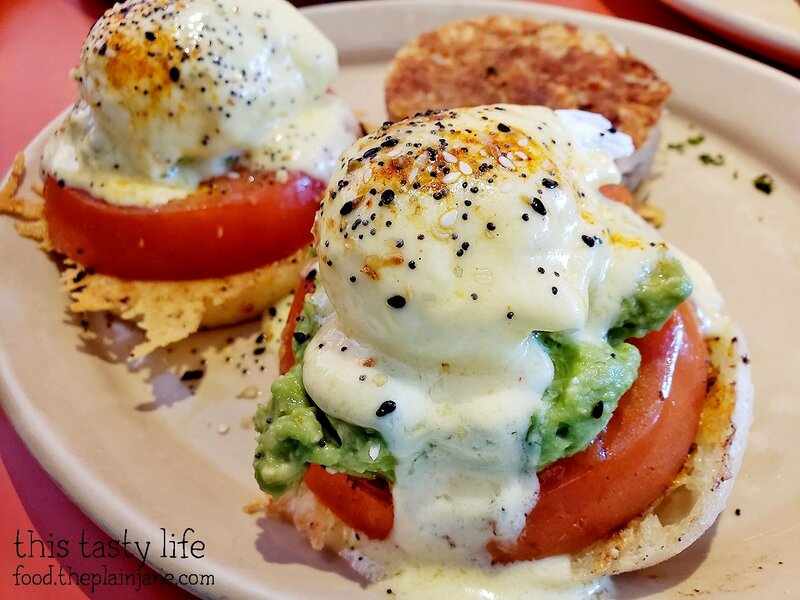 This one has a toasted English muffin on the bottom with a thick juicy tomato along with a generous portion of avocado with green chili and parmesan cheese. Then comes the poached egg and some smoked cheddar hollandaise sauce. The hollandaise sauce is worth the price of admission alone, my friends. It had a wonderful silky texture and an outstanding flavor on top of that tomato and avocado goodness. Poached eggs are one of only a handful of styles of egg that I prefer to eat, weirdly enough. This dish was great! Jake surprised me by also getting some eggs benedict. 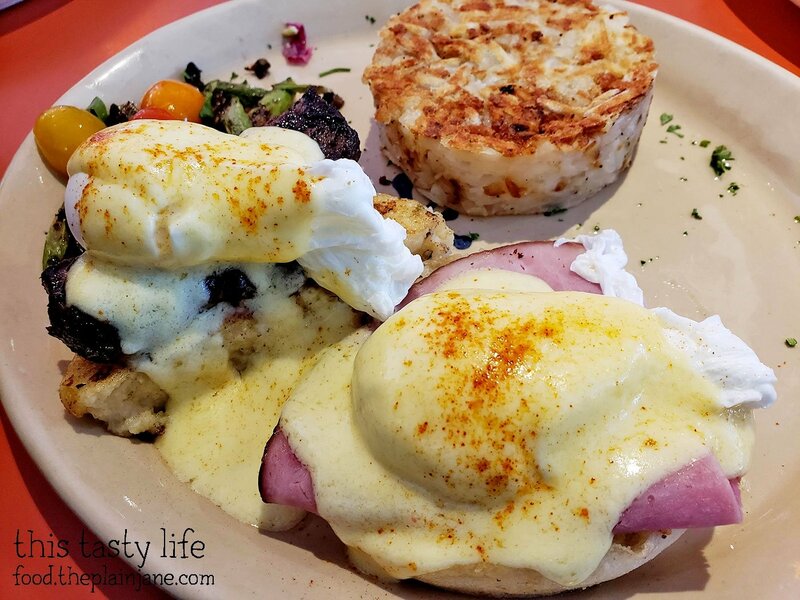 He went for the Benny Duo [$13.75] with one Steak & Egg Benny along with a Classic Benny. He wasn’t really feeling it that day though and said he didn’t really enjoy these. I didn’t try his bennys since I had my hands full with my own benny plate! Jake’s mom ordered the Havana Dreaming sandwich [$12.75]. I liked the look of that ham! 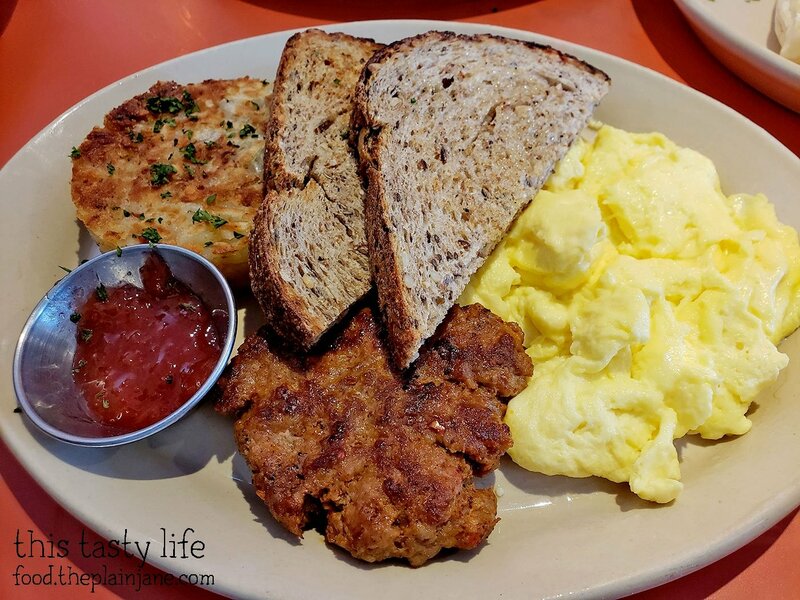 And Rey ordered the Snooze Classic [$11] which comes with hash browns, eggs, toast and your choice of meat – in this case, the chorizo. I quite liked the pancakes and my avocado benny. Jake said he felt a little let down by this meal and wasn’t as wowed as he had been in the past but everything I had was pretty good. Maybe he wasn’t in a benny-pancake mood that day? Disclaimer: I was invited to dine at Snooze and we received a complimentary credit towards our meal. I was not further compensated and all opinions stated here are my own. Mmmm the Pineapple Upside Down is my fav pancake, I always get it when we go! Hi Tictac! That pineapple upside down pancake was really yummy! The cinnamon butter made it even better!